Nio Liv Linköping | Wha’ever! 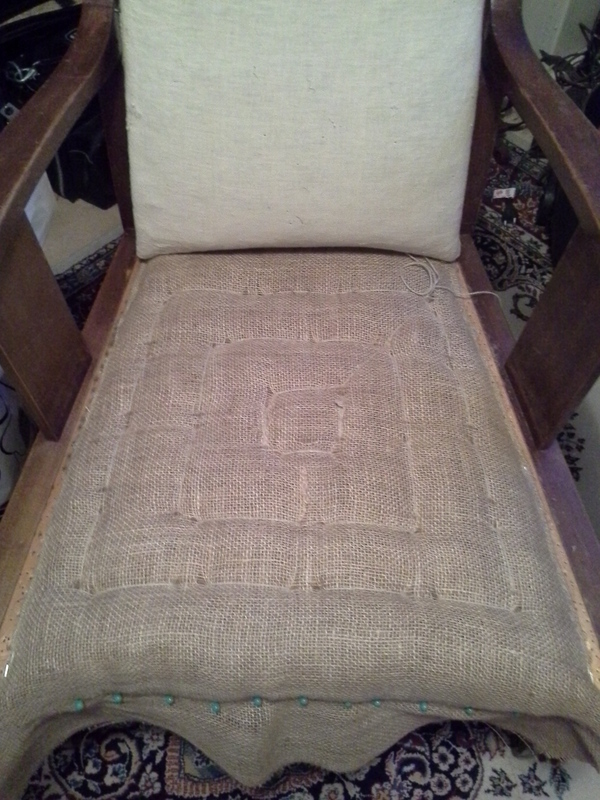 One of the chairs that I wrote about in my last post is now actually renovated! Yesterday evening the chair got a few nice layers of Shellac. Shellac is great to work with, because it dries very quickly. One has to be careful, though, not to apply the next layer too fast. Otherwise the first layer might dissolve again, resulting in the surface not being as shiny and smooth as it should be. After that, the glue pistol got some work to do. It is an almost meditative, highly focussed work to get the furniture ribbon in the right place and straight, and no glue in places where there shouldn’t be any. Especially in the places that are not as easily accessible, like where the armrests join the backrest. Anyway, now everything is done, and the chair will move back to it’s home soon. Here are some more pictures of this week’s masterpiece 🙂 . The entire series you’ll find on Flickr! In my upholstery class, I am known for that having quite a stock of old chairs in the family heritage, that are in need of renovation. I am one of the few students who never has to worry about a lack of projects. In our garage and on the loft, there have been sleeping a number of sofa chairs who got a new life during the past years. Actually, this was how I got started with upholstery. I saw the potential of the chairs – they are built of a quality you no longer find these days. The current project are two similar chairs of the Jugendstil epoche. They got an entirely new inner construction, as well as a new outer fabric. The pattern is a design by William Morris, a famous English textile designer and artist of the same epoche (follow the link to read more about him). Morris’ many designs and patterns for wall papers, fabrics are much loved even these days. The pattern of my fabric is a variation of his design “Willow Bough”, dated from 1887. 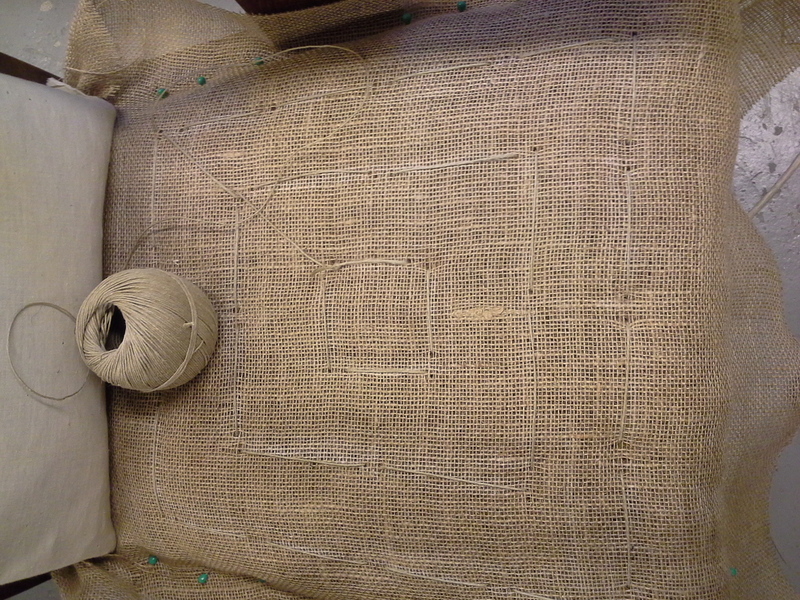 Today I will hopefully be able to finish one of the two chairs, and then we can take it to our house in Grythyttan. I hope that both chairs at some point will find their place in our railway station in Grythyttan. They might fit well into the old station master’s flat, or in the first class waiting room. Here are more pictures of the restauration progress on Flickr.